Also known as Triteleia laxa Corrina, this fabulous cut flower is best grown in moist, fertile, well-draining soil in full sun to partial sunlight (never shade) with winter and spring moisture and summer dryness. 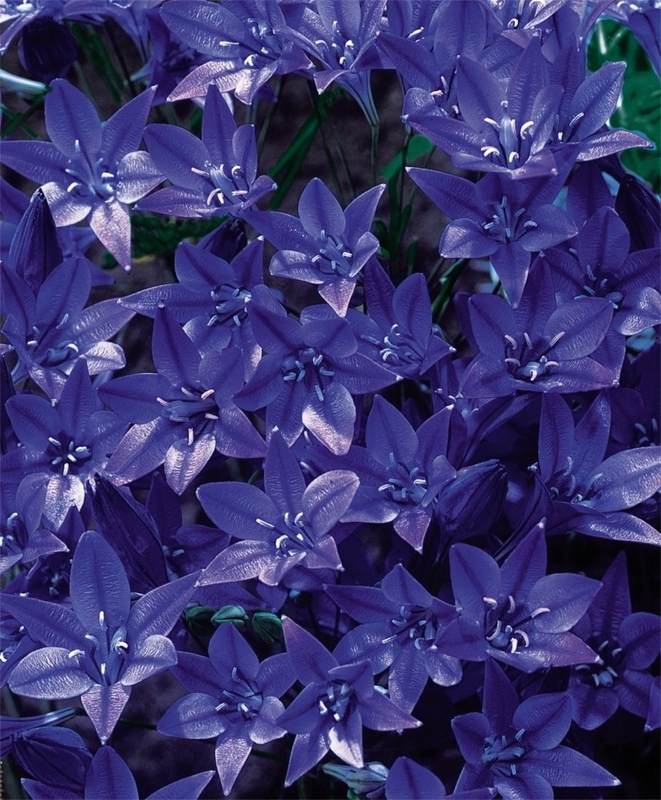 Corrina has clusters of delicate star-shaped, deep blue-violet flowers with darker midveins and grass-like foliage. Brodiaea is best grown in somewhat moist, fertile, well-draining soil in full sun to partial sunlight (never shade) with winter and spring moisture followed by summer dryness, but never in a spot that gets waterlogged at any time. 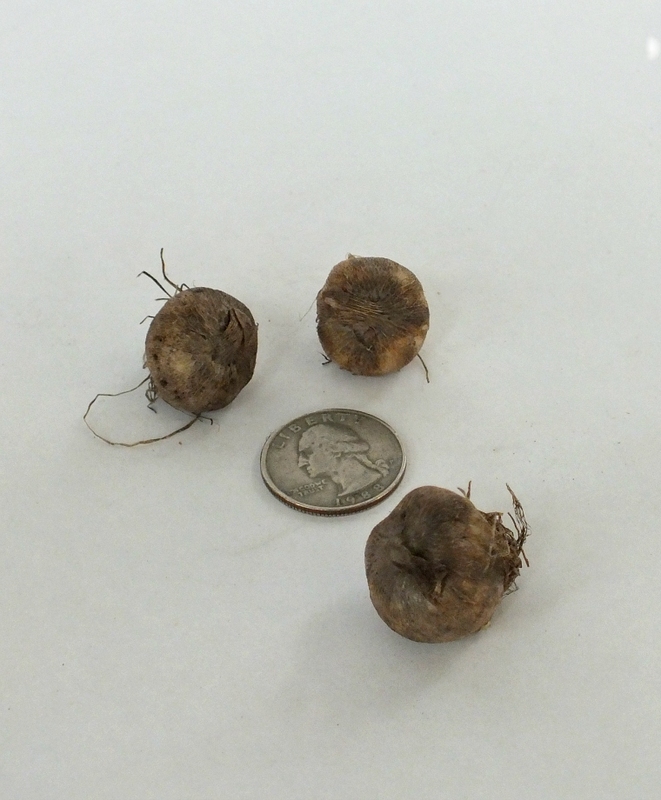 Brodiaea naturalizes by corm offsets (called cormels: baby corms on the sides of the mother corm you’ve planted). It will naturalize readily if it’s happy where it’s planted and left undisturbed. It’s terrific planted en masse in sunny woodland borders, natural wild flower settings and rock gardens (that have moisture-retentive soil). Since it’s not tremendously hardy, you may want to apply no more than a 2" layer of mulch after the surface of the ground freezes to protect it from winter temperature spiking in the event of inconsistent snow coverage. You’ll need nine corms per square foot. (Square footage is determined multiplying the planting site’s length times its width.) Bulb size: 6 cm/up. Full to partial sunlight. Bloom time in horticultural zone 5: May/June. Plant 4" deep and 3" to 4" apart. HZ: 6-9. Height: 14". Brodiaeas are The Art & Soul of Spring.